Finance Minister Arun Jaitley said the actual spending under the scheme in the fiscal year ending March 31 "would be highest". The BJP-led government has boosted spending under the UPA's flagship rural jobs scheme MGNREGA to a record high and will for the first time ever provide funds over and above the budgeted amount, Finance Minister Arun Jaitley said on Tuesday. Dispelling doubts over the fate of the scheme floated by the previous Congress-led government, he said that while in previous years there has always been lower spending as compared to the Budgeted amount, this fiscal the government has not cut Plan Expenditure as it wants to boost growth. Addressing a MGNREGA Sammelan organised to mark the completion of 10 years of the scheme, Jaitley said there were apprehensions that the NDA government would end or replace the scheme with a new programme. "But the new government has not only taken the scheme forward, but also hiked the fund allocation under the scheme," he said. "This government has not followed the practice of just making higher provisions and later cutting it. I think this would be the first year when the Rs 34,000-35,000 crore (Rs 340-350 billion) which was allocated has not only been spent fully, but also some more resources could be given to MGNREGA". The Finance Minister said the actual spending under the scheme in the fiscal year ending March 31 "would be highest". "This country's financial system had a practice that when a Budget is presented, people discuss how much money has been allocated. But in full year, how much money is spent and by how much the allocation is cut, that doesn't attract attention," he said. There was not a single year in recent past when Budget allocations were not cut, he said, adding that it was a practice to reduce allocations every November-December. "And the effect of this was that there was less spending and when there is less expenditure on economic development (and) cut in plan expenditure, it impacted economic growth," he said. Jaitley said 2015-16 "will be the first year when there would be no cut in funds allocated for development works. Actual spending would be more than the provisions made in the Budget." On Monday, opposition Congress had dubbed as "better late than never" the Narendra Modi government's praise of MGNREGA saying "it shows how the landmark legislation has changed the lives of the rural poor". Jaitley also complimented Rural Development Minister Chaudhary Birender Singh for bringing in "transformation" in Mahatma Gandhi National Rural Employment Guarantee Act (MGNREGA). Schemes are "not cast in stone" and their modification is required with the passage of time, he said, adding that MGNREGA underwent change and new initiatives were taken to reach its benefits to people in a better way. "As the Rural Development Minister has rightly said that a transformation has been brought in the implementation of this scheme. When a government scheme runs for many years, an attitude of indifference develops towards it. A kind of indifference towards it was growing by 2013-14 when the scheme has entered its seventh and eight years," Jaitley said. He further said that although India has no control over fall in international commodity, mineral and oil prices as well as global slowdown, within the country there is a need to create one more engine of growth by giving funds to the rural sector. "We should spend more on rural electrification, irrigation and roads to witness development of rural economy. The amount of funds we can put in these sectors, it would not only help improve the sector but also boost the economic growth of the country. 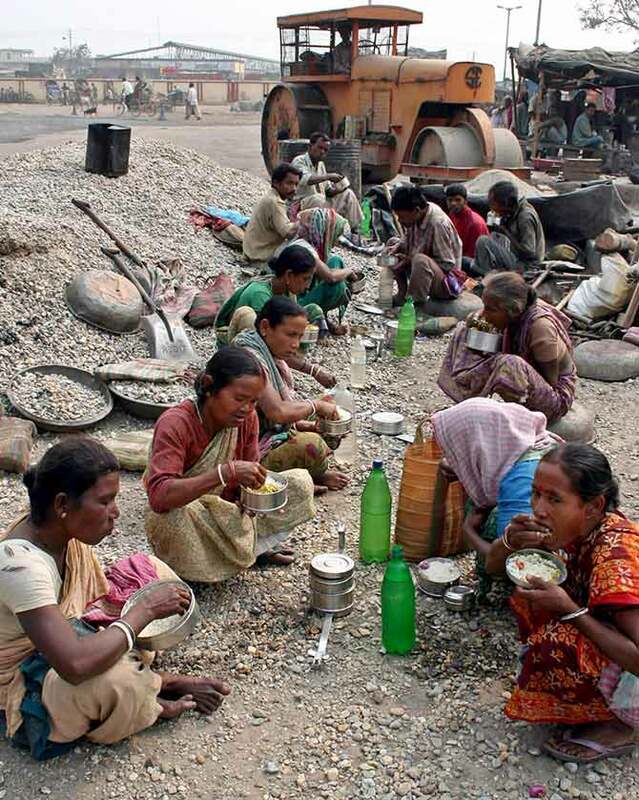 This is the responsibility which we are undertaking through MGNREGA," he said. Jaitley said there are political, social and economic arguments behind putting funds in rural sector when it is stressed. "The funds that we put in that will push the economic growth". He said the Rural Development Ministry has worked on the scheme so that there is asset creation, employment generation, money is transferred directly to bank accounts to avoid pilferage. "He (Singh) has changed the format of MGNREGA, which has helped the poor," Jaitley said. "When there was a change of government in 2014-15, there was a talk in and outside Parliament on whether the scheme will be discontinued or its fund allocation will be curtailed. But the new government not only took forward the scheme but also increased its fund," Jaitley said. Why the rural jobs plan is a dud!